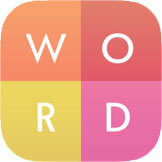 WordWhizzle Answers list for all level pack that will help you beat the game on your android device or iphone. WordWhizzle is an cool word finding game made by Apprope, where you get a topic in each level and your task is to find the hidden words associated with that theme! With a brand new topic for each level, you’ll enjoy a fun challenge as you identify the hidden words and then swipe up, down, diagonally, and across to build them. Some word in WordWhizzle are not so common and you will need a little help to pass those levels. Below you can find a list that contains the answers for all 600+ levels in this game, just find the one you can't solve.